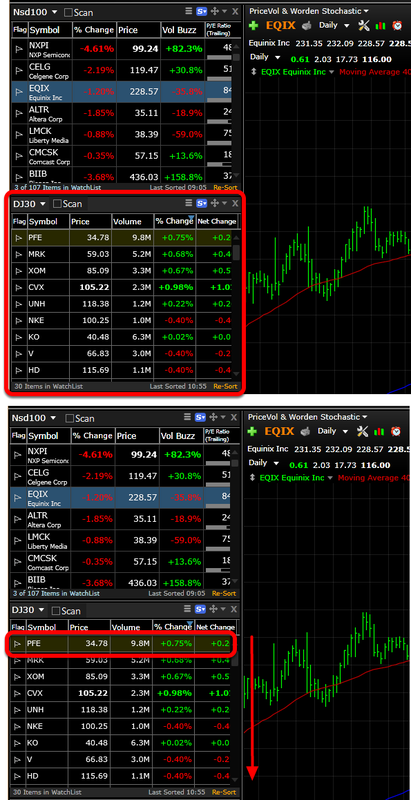 Slide show mode automatically walks you through any Watchlist at a pace where you can look at charts hands free. 2. Click on Slide Show. 3. 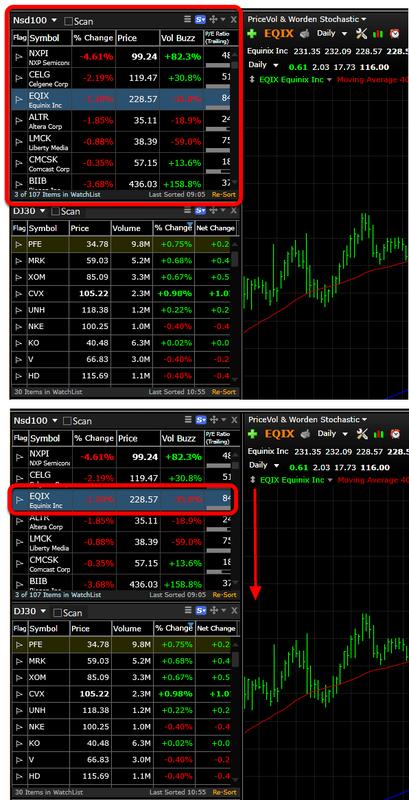 Instantly your stocks will begin to walk through whichever watchlist you have chosen at any given time. 4. 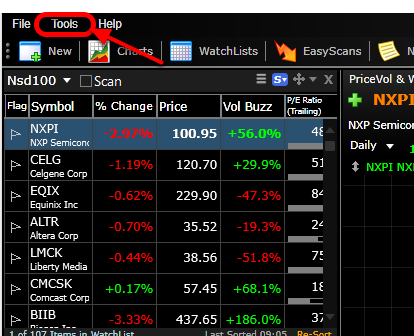 You can move from watchlist to watchlist and the Slide Show will pick up with the new watchlist and begin walk through those symbols. 5. 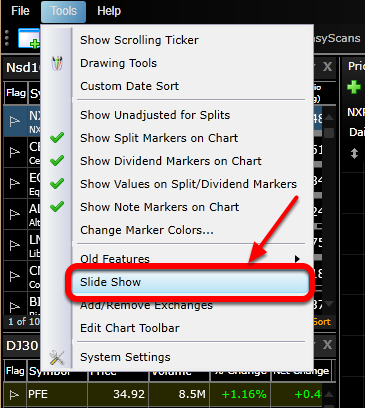 Notice at the top of your screen you have basic instructions of how Slide Show works.